is on fire (so to speak). 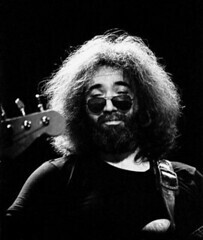 The Dark Star was shinning bright on this night. wOw. We will only ask you once. Remove the photo of Keith Godchaux. You do not have our permission to use it. Using our work without our permission is the least of your problems. Removing “copyright management information” violates Federal law. The Digital Millennium Copyright Act also forbids removing the name of the author. Is your attorney willing to defend a Federal lawsuit that’s a sure loser? We’ve been a member of our local Bar Association for over 20 years. Ignoring this polite request will result in significant action. Lighten up Bob. Photo has been removed. Thanks for taking down the photo. If our request appeared heavy-handed, it’s for good reason. Our photos could easily become “public domain”. We’ve been jacked-around quite a bit lately. Two national companies have infringed our work, big-time. If they’re lucky, the US attorney won’t being felony charges. Hey Flickr, Where Did My Statistics Go? OAuth, the Flickr API and You.